Have you ever woken up and found that you were in a weird mood? You don’t know why, but your attitude is a little bit off. You can’t even put your finger on it, but you now have somethings on your mind that are making you feel some sorta way. These feelings are starting to make you wonder if you are going to have a good day or not. I want to stop you right there and say that we all have mornings like this. Now whether that turns into a bad day or not, is up to each person. As things begin to happen, you will have to get frame your thoughts. We normally try to figure out whether or not it is going to be a good day or a bad day based upon circumstances, but you and I have to be willing to take a step forward and do something that will effect everything. We must take control over our thoughts and emotions, using our mouths. When we feel this way, the Holy Spirit, who is our Helper, will always say something that we must respond to, if we want things change. He will speak words of encouragement or even the word of God. One time, I remember struggling in the morning to get going. My emotions were all over the place and I couldn’t figure out what was wrong with me. It seemed like everything was going wrong and getting on my nerves. Then as I stood in the bathroom, brushing my teeth, the Holy Spirit spoke to my heart “bless the Lord O my soul.” This immediately triggered me to stop for a second and think on the scripture and the Psalmist’s experience in the Bible. Let me say that the Lord doesn’t always speak to me in this way, but the more word you and I put in us, the more word He will use to speak to our hearts and direct us. I continued getting dressed and took my children to school, all the while contemplating the word that was spoken to my heart. Youministers of His, who do His pleasure. David used his mouth to fame his thoughts and to get himself, his soul, in line. This is what we have to do. We have to remind ourselves of God’s goodness and command our soul to bless the Lord. With this we take charge over our experience. 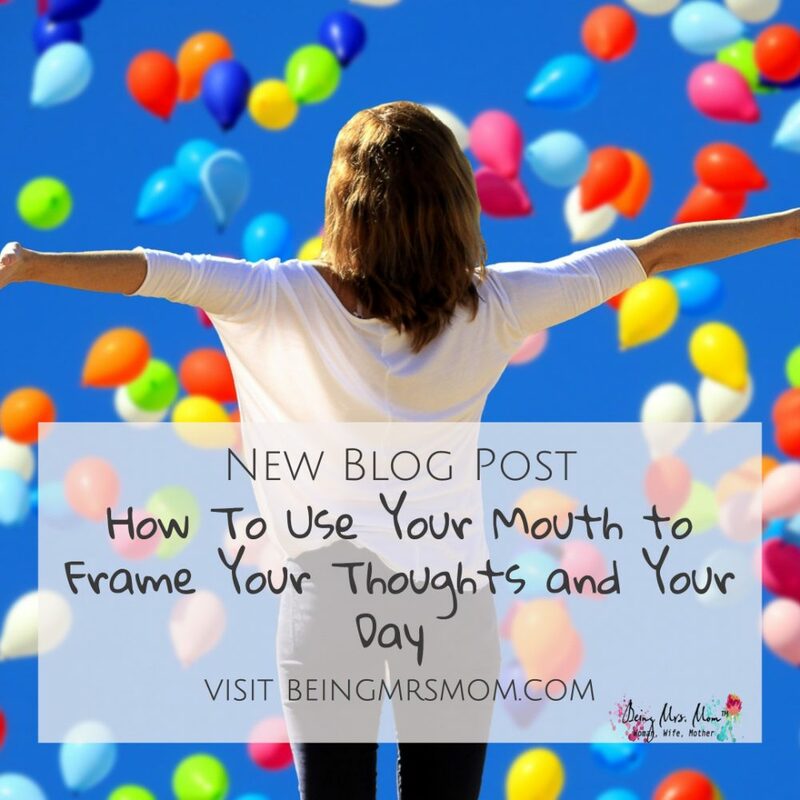 We frame our minds and our day by what we are saying. If you think of a frame, no matter what type of picture you put in the fame, it is going to be perceived by it’s frame. You could have a children’s popsicle frame or an expensive decorative, each one give you a certain perspective, when you look at the picture. This all matters. By framing your day with your words, using the word of God, you can change your perspective and situation. So, do as David did. Speak to yourself commanding, yourself to bless the Lord and to remember all of His great works. Don’t forget the benefits of being a child of the King of Kings. Remember how the Lord worked in the past because that is His track record. He never changes. What He did for someone else, He can also do for you. Find the beauty in the world. Slow down for a moment. Look around you and notice how all of creation has chosen to bless and worship the Lord. Go back and reaffirm to yourself that you should be blessing the Lord with your mouth, heart, and life. You need to be reminded sometimes. Tell yourself to do it and then actually do it. Keep this up and watch what happens within you and around you. God has given you the power and authority to change what could have been a bad day, into a good day.